Welcome to the Southborough Community Power Choice program, a municipal electricity aggregation program. Electricity aggregation is form of group electricity purchasing for residents and businesses in Southborough. In an aggregation, the Town uses the bulk purchasing power of the entire community to negotiate the best price possible for everyone for the supplier services portion of your National Grid electricity bill, then signs a contract with an electricity supplier on behalf of the community. National Grid will continue to deliver your electricity, but a different company will supply it, and that company’s rate will be used to calculate the Supplier Services portion of your National Grid electricity bill. 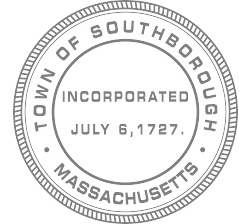 Southborough has signed a contract with Public Power to supply electricity to Southborough through February 2020. Power Choice Standard: This is the default option. All National Grid Basic Service customers will be automatically enrolled in Power Choice Standard. Like National Grid’s Basic Service, Power Choice Standard meets minimum state requirements for integrating renewable energy. Power Choice Green: This optional upgrade gives you 100% renewable energy, all generated by renewable energy projects in New England. You may choose this option by calling Public Power at 1-800-830-2944 and requesting it. Please note: The program cannot guarantee savings compared with National Grid’s Basic Service price. The Southborough Community Power Choice price is fixed until February 2020, but National Grid’s Basic Service price changes every 6 months for residential and commercial accounts and every 3 months for industrial accounts. Future National Grid Basic Service prices are not known. Program participants are free to opt out of the program at any time with no fee or penalty. All new electricity customers in Southborough will be automatically enrolled in the Southborough Community Power Choice program, unless they choose to opt out. If your account is not enrolled, it is likely because either your account was already with another electricity supplier at the time the program launched, or because you opted out of the program. If you wish to enroll in Southborough Community Power Choice, you are welcome to do so. To enroll. please call the program’s electricity supplier, Public Power, at 1-800-830-2944 and request enrollment. Please note: Before joining, we recommend that you check carefully the terms of your agreement with your electricity supplier to be sure you are not charged an early termination fee. The program price will be used to calculate the Supplier Services portion of your bill. If you receive net metering credits on your National bill from solar panels, those will continue to be calculated on National Grid’s Basic Service rate, not on the program rate. If you are eligible for a low-income discount or budget billing, you will continue to receive that discount, and you will continue to receive budget billing. You may opt out of the program before being automatically enrolled or any time after enrollment with no penalty. If you choose to opt out, National Grid will remain your electricity supplier, and the Supplier Services portion of your electricity bill will remain on Naitonal Grid’s Basic Service rate. You may opt out online or by calling Public Power at 1-800-830-2944. This is the price for Power Choice Standard, which is the default option for all electricity customers: residential, commercial, and industrial. You may choose 100% renewable energy with the Power Choice Green option for 12.74 ¢/kWh*.